BRYAN EATON/Staff photo. 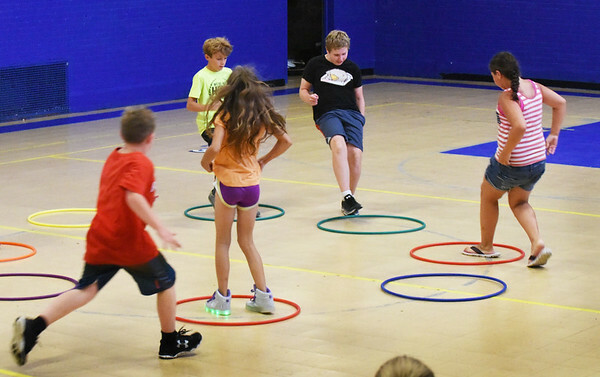 The music stops and youngsters scramble to find an open hula hoop to stand in, a version of Musical Chairs on Monday afternoon at the Boys and Girls Club. There will definitely be outdoor water games later this week as temperatures reach the 90's.